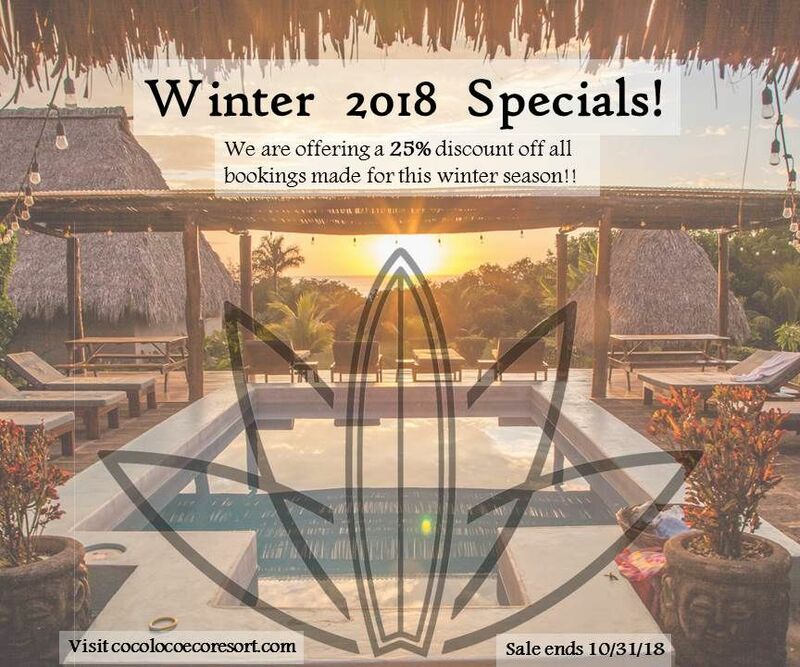 This surf season we are offering a boutique Coco Loco experience. 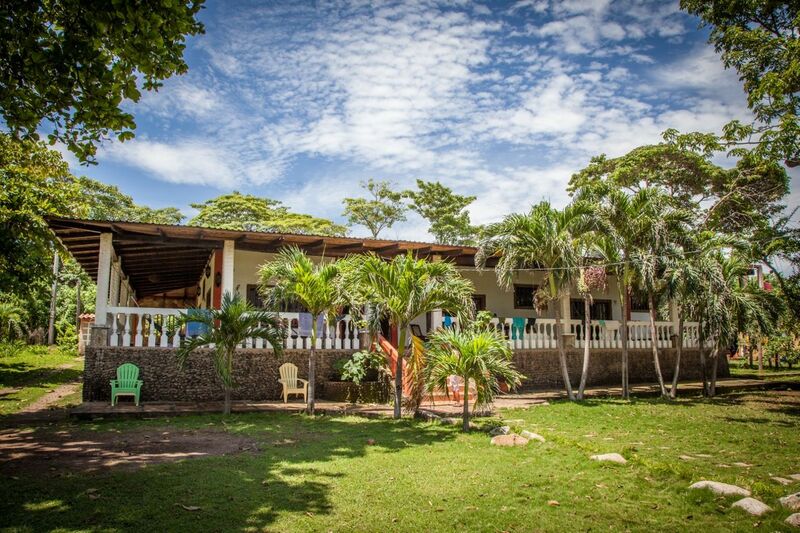 Our main resort will be shut down from May 1st to October 31st but our Beach House will be open for surfers and guests looking to experience the best of northern Nicaragua! All the goodness of Coco Loco, served up in a condensed beach house experience. This means a maximum of 8 guests each week, which allows us to perfectly cater the experience to your needs. Our expert chefs will be on hand providing the top quality Coco Loco cuisine we are so well known for. This means a light pre-surf breakfast each morning, followed by a large post surf ‘2nd breakfast’. 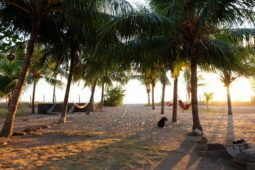 After breakfast, take some time to explore the beautiful beaches, enjoy a yoga class on the deck of the beach house, maybe a post surf massage or just chill in a hammock. Of course, you are always welcome to head out for more surf as well. Our sunset sessions can really be something special! Lunch and dinner will be served on the Beach House patio as well with cocktails and beers available all day. 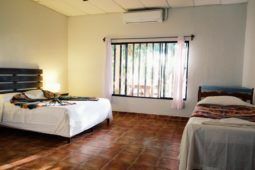 The Coco Loco Beach House is only steps from the beach and is located just outside our main gate. 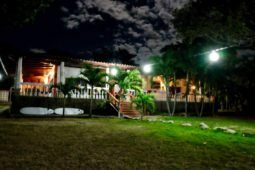 The large house features an amazing wrap around deck with plenty of hammocks and lounge chairs, a fully stocked kitchen and a surf viewing beach front platform. 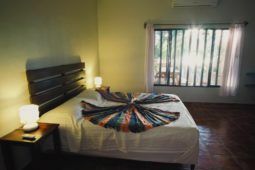 The rooms are available in three sizes — our triple room offers one double and two single beds, our double room offers one queen and one single bed and our single room offers one queen bed. 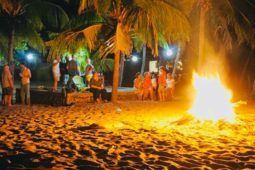 Located a ten minute walk down the beach from Coco Loco, Nahualapa Bay is becoming one of the most popular surf spots in north Nica but on most days you will still only see fifteen to twenty people in the water. The sandy-bottom Bay offers a right, a left and an A-Frame that breaks through the middle. This is the perfect spot for beginner and intermediate surfers to fine tune their skills. 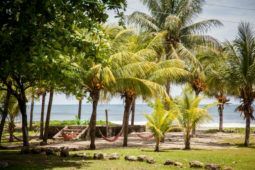 Located just out front from our Beach House, Coco Loco Point is a peeling left hand reef break that works on medium to large swells through the green season. This is a great wave for intermediate surfers to work on refining their turn game and the odd barrel section can be found here as well. The Boom is the premier wave in the area and in all of Nicaragua. It is a hollow beach break located about fifteen minutes drive from us. Surfer Magazine recently featured it as one of the best places in the world to learn to get barrelled. A short boat trip from Coco Loco, the Island is a swell magnet that offers a left reef break that can hold up to double overhead in size. The wave breaks off the corner of the island and offers long walled up rides with barrel sections in big conditions.